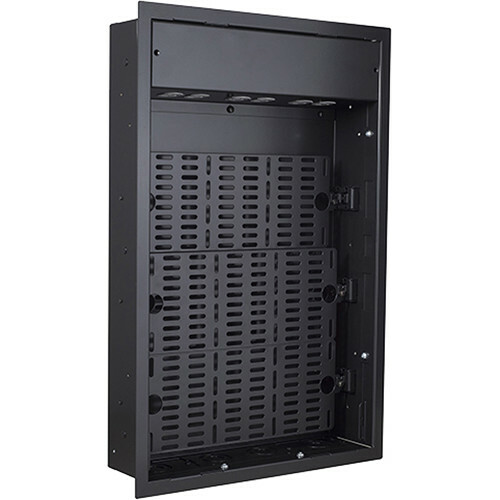 The PAC527FBP4 provides a larger, easy-to-organize space to accommodate AV equipment. The included, universal backplanes can be mounted on three different levels to easily organize and layer components within the space. Includes a high-performance, dual gang housing, isolated ground, 4-receptacle outlet featuring the SurgeX non-sacrificial multi-stage filtration and surge protection system. This protects equipment from disruptive high frequency noise and damage caused by power disturbances.